It's a new year and for many people that means new fitness goals... as can be seen by any gym during the month of January. I'm not personally a fan of New Year's resolutions, mostly because I already have enough goals to keep me busy year-round, but I think any motivation for self-improvement is worth pursuing. I know persevering with new fitness routines can be very challenging—often more than people expect when they first take them on. 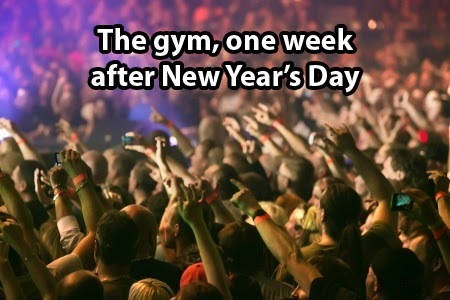 I suppose that's the reason many resolutions fade into forgotten memories so quickly... as can be seen by any gym during the month of February. It seems like a good time to share a few tricks that help me improve my running and pull through mental fatigue, which I believe is far more defeating than physical fatigue. Anyone who has had a similar experience will easily understand that your mental game is just as important (if not more so) than your physical effort, and VISUALIZATION is the key to winning that game. I'm devoting my posts this month to training your mind to improve your running, often with the use of visualization. Visualization comes in many forms, from setting big-picture goals to conquering specific, nitty-gritty challenges, and there is plenty of evidence to show it makes a huge difference in physical performance. Today, I'm focusing on the tremendous influence of simple visualization mantras. What difference does a mantra make? 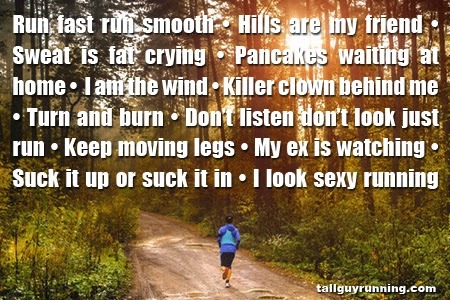 I learned the power of a good mantra back when I started running in high school. I absolutely hated running at the time, but I was sick and tired of being an overweight kid bullied every day (I dreaded gym class like the plague), During my sophomore summer, I committed myself to a healthy living and running plan that I almost gave up the first week. Not long after I'd start a run, I'd begin thinking about how far away I was from the finish line and how much further I'd have to endure that unbearable burning pain. I'd lose hope and think about nothing but giving up, which is the first big step to actually giving up. Fortunately for me, at some point I realized that if I took my mind off the entire distance and just focused on the steps in front of me then my whole perspective would change. The overall, unthinkable end goal would disappear and I'd end up crossing the finish line before I knew it. It took a lot of work to hone this mentality, which is basically tricking my brain into forgetting how far I had left to run, but it's a trick I use to this day. 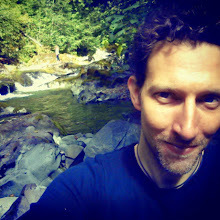 I still reach moments of hopelessness when a long run seems like too much and the finish seems too far off, and I regularly remind myself to stop those thoughts and replace them with "Just one more step... just one more step..." It may not sound like a power-mantra, but it works like a charm for me every time. I think the real power in those simple words comes from keeping me in the moment and making the greater struggle ahead disappear from my mind. The journey of a thousand miles begins with one step, right? By the way, I lost almost 30 pounds that sophomore summer and outran most of the kids in my gym class the following year (I wasn't tall then, either—I grew about a foot the following year). One day, later that year, it just hit me that I loved running. In his bestselling memoir, Eat & Run, world champion ultrarunner Scott Jurek shows how father's saying "There are some things you just do" became the mantra that pulled him through countless races when he saw no reason to keep going. Renee Metivier Baillie wrote the words "Think strong, be strong, finish strong" on her hands when she ran and won the 2010 USATF 3,000 meter race. Sarah Reinertsen told herself over and over "You're tougher than the rest" when she became the first female leg amputee to finish the Ironman World Championship. Mohammad Ali had many mantras, including "Don't quit, suffer now and spend the rest of your life as a champion." 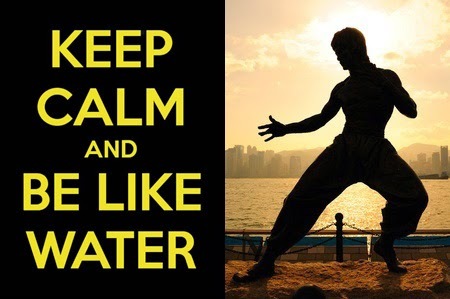 Olympic distance runner Bolota Asmerom uses Bruce Lee's mantra "Be like water" to feel smooth and full of force during his runs. For a mantra to be effective, you'll need to find one that resonates with you personally and really targets the negative thinking that threatens to keep you from meeting your goals. I still come up with new ones to confront the unique challenges I encounter on various runs. Experiment with new sayings and try mixing up the words until your find a short and simple phrase that really clicks for you. Remember that little changes in words can make a big difference. It may not seem significant, but focusing on promoting the positive is much more effective than rejecting the negative. For example, "Keep going" will be more motivating than "Don't stop." Feet fast, legs strong, I can do this all day long. I run fast, I run strong, I run long. Tank tops, booty shorts n’ bikinis! Tank tops, booty shorts n’ bikinis! My dad is watching from heaven and I'm gonna make him proud. I'm lapping the guy on the couch (picture your old self as the guy on the couch). Pain is weakness leaving my body (or strength entering my body). I will outrun the zombies! I will outrun the zombies! One more of my favorites: If you read my post on breathing for optimal running, you'll know that I end my breath cycle with a four-count exhale. On those four beats, I like to repeat to myself "Run-light-and-smooth." It not only helps me relax, but also helps me keep my running form, well... light and smooth. Do you have any mantras of your own you'd like to share? Please post them in the comments below! [Spoiler Alert] Too bad he died in the very next shot. I usually go "This is Temple Run"(and imagine the monkeys chasing me) or "You'll get em later"(I usually pass people on the hills, so the flat mile before can be discouraging).